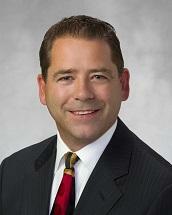 Mr. Barkauskas has been a lawyer since 1992 and practices family law exclusively. His past corporate law experience and degree in psychology are valuable tools in his practice. Mr. Barkauskas is also a qualified and very experienced mediator, arbitrator and parenting coordinator and is a strong proponent of the use of alternative methods of resolving disputes in the right circumstances, to minimize uncertainty, delays and costs associated with litigation. If these strategies are inappropriate though, he also has significant litigation experience to drive matters forward. Mr. Barkauskas is a member of the Alberta Family Mediation Society, is a registered Collaborative Law Lawyer, and is one of the few lawyers in Alberta that is a qualified Parenting Coordinator and is often hired by lawyers to help resolve matters and assist parents in high-conflict parenting situations. As a litigator, he has extensive court experience in all levels of Court in several Provinces and experience in other jurisdictions such as the United States, Europe, Asia and South America. Mr. Barkauskas is a past Chair of the Canadian Bar Association South Alberta Family Law Section, is a past Canadian National Chair of the CBA Family Law Section, is the Past-President of the Alberta Branch of the Canadian Bar Association, and has been consulted by both the Federal and Provincial Governments on a variety of Family Law issues. Mr. Barkauskas has often been an instructor of family law for lawyers’ continuing education programs and has been an instructor for mediation and Parenting coordination courses both within Canada and internationally. He has also taught negotiation skills and family law to law students and to new lawyers as part of the Bar Admission course. He sits on the Board of Directors of other community organizations as well and is an appointed Dispute Resolution Officer for the Court of Queen’s Bench of Alberta. Mr. Barkauskas' services are somewhat unique in that he can provide various services to clients either as a litigator, collaborative lawyer, independent mediator, parenting coordinator or as an independent arbitrator.